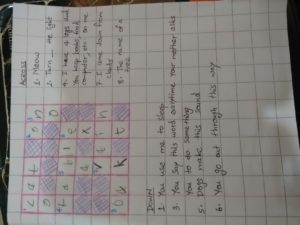 I have missed out writing the clue for 2 ‘Across’ in the first photo. 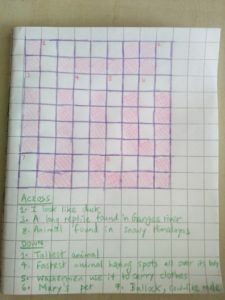 This entry was posted in Crossword for Children on November 4, 2017 by admin. 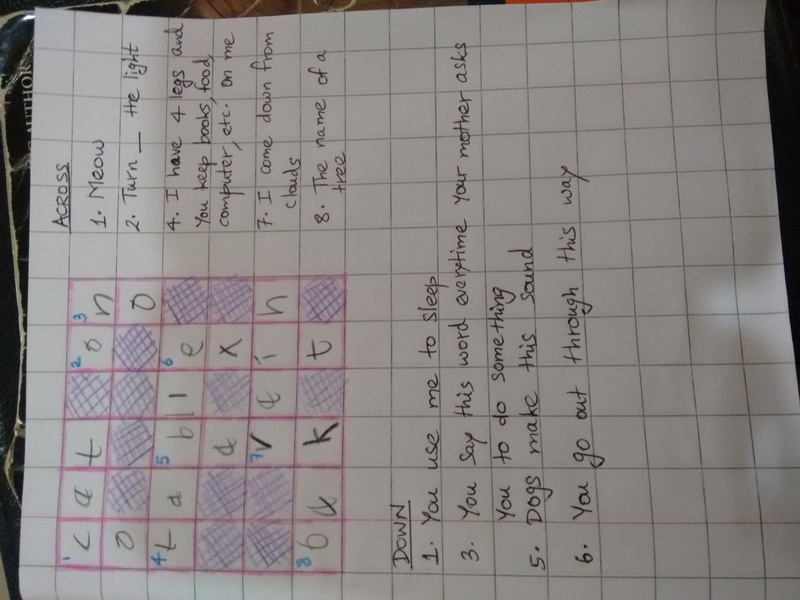 As I started browsing through a crossword on the Singapore local newspaper, ‘Tabla’, my daughter asked me what a crossword is. As I started explaining about it to her, a whole lot of memories came back to me. 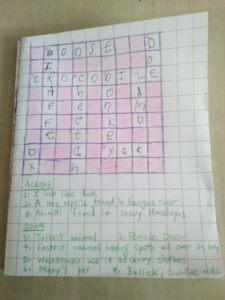 How I used to like solving the crosswords and puzzles in our favourite childhood magazine, ‘Gokulam’, with my sister and cousins and how I used to try forming my own crosswords during 7th standard or so. I never got around to forming full crosswords or never went beyond solving simple crosswords. 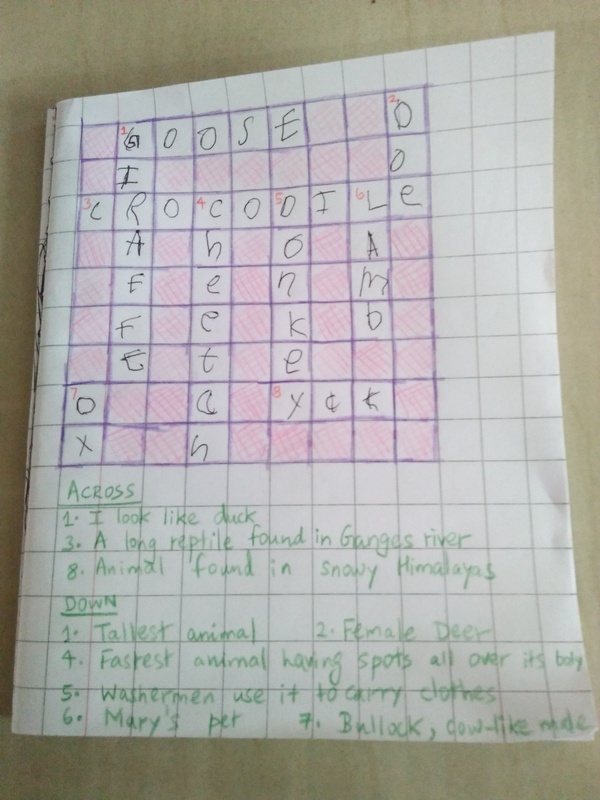 But these very memories brought back with it a strong urge to form a crossword for my daughter and within a few minutes, I had it ready! 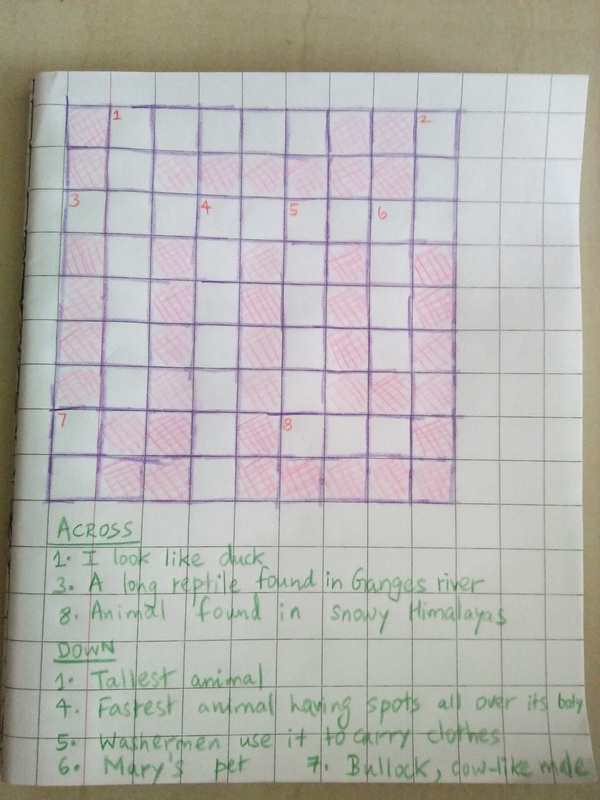 As I took the box of colour pencils to colour the boxes, I impulsively reached for my childhood favourite colour combination of pink and purple and got the puzzle ready for my daughter. 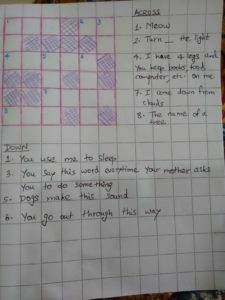 She too happily completed it in a few minutes and was so happy doing it. 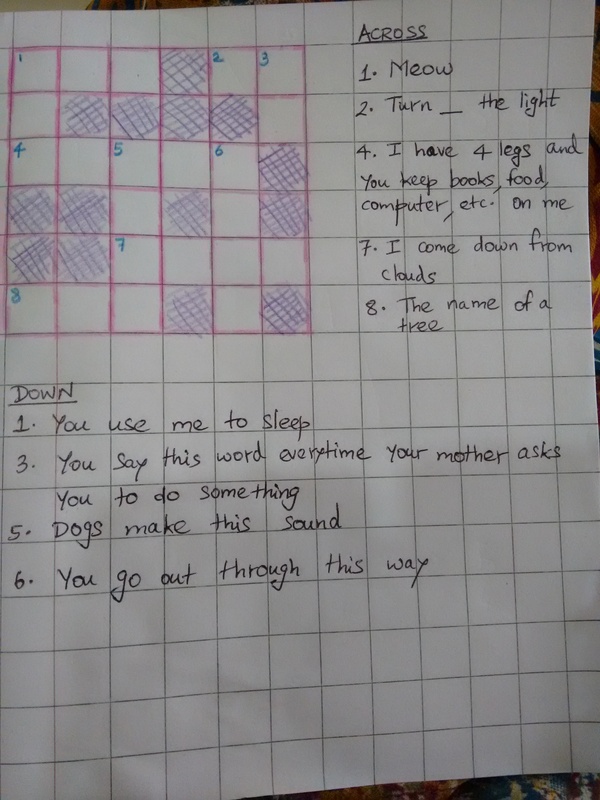 I am planning to prepare a lot more puzzles for her from now on.